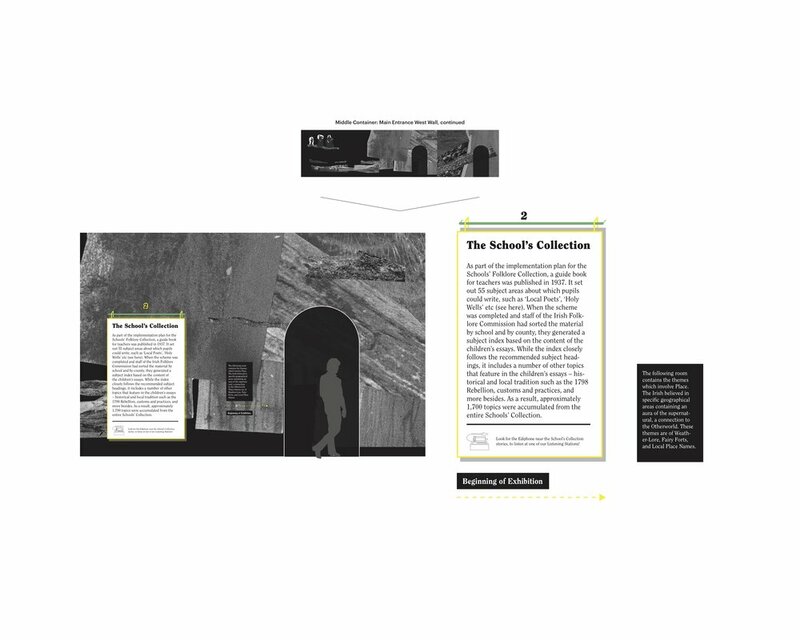 In early May, I was asked to present my proposal for my exhibition, “Intangible Worlds and Inaudible Rhymes: the Traveling Archive of the Irish Folklore Collection” at the NYC x Design conference. I designed an exhibition based on the history of the Irish Folklore collection of stories, which I had come across while living in Ireland in the summer of 2017. The archive is a collection of handwritten stories transcribed by school children and a series of oral recordings of traditional Irish storytellers, seanchais, all of which were recorded in the mid 20th century. 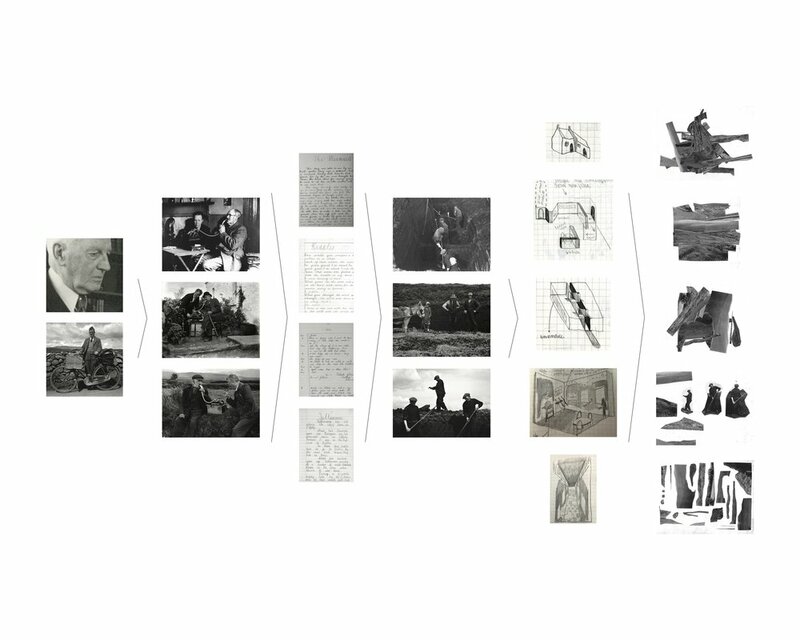 Using photographs from their online archive, I constructed a series of collaged walls which mimicked the stacking of bog which surrounds much of the Irish landscape. Residents would use bog material to heat their homes and within these homes, these stories would be spoken orally. With the initiative of the story collectors to record tales spoken in Irish, a dying language at the time, thousands of Irish myths have been preserved via transcription that otherwise would have been lost forever. Within the exhibition, I designed the walls to hold images of the stories written by children and their handwriting would serve as inspiration for wall titling. Story collectors would travel by bike, so throughout the show would be a through line of a bicycle route, giving information on where stories were collected. In addition to wall work, there would be communal listening stations to further this notion of collective oral listening and collective memory.